Despite the Section 232 measures adopted by the Trump administration, US scrap markets still rely on exports. Indeed, Turkey’s reliance on US scrap imports has increased since the start of the current year, it was revealed by Fastmarkets metals analyst Lee Allen in his guest presentation to the latest meeting of the BIR Ferrous Division, held in London on October 6. 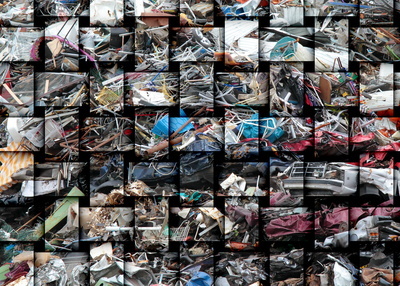 The average proportion of US-origin material among all Turkish ferrous scrap imports in the period from January 2016 to mid-2018 was 17.6% and yet this figure climbed to 20.3% in August this year. This “strong mutual dependence” is “a critical factor” in the ferrous scrap market, according to Mr Allen. “Movements show that US scrap market prices remain largely dependent on Turkey,” he noted. With Turkey less reliant on scrap from the UK, the latter’s exporters have made efforts to diversify their customer base. Latest figures supplied to the meeting by divisional Statistics Advisor Rolf Willeke confirmed that the UK’s exports to Egypt jumped almost 32% year on year to 443,000 tonnes in the first half of 2018 while shipments to Bangladesh soared more than 200% to 192,000 tonnes. In Mr Willeke’s update of the ninth edition of “World Steel Recycling in Figures”, he also observed that Turkey’s overseas steel scrap purchases climbed 15.5% to 10.771 million tonnes in the first six months of this year to reinforce the country’s long-standing position as the world’s leading importer. 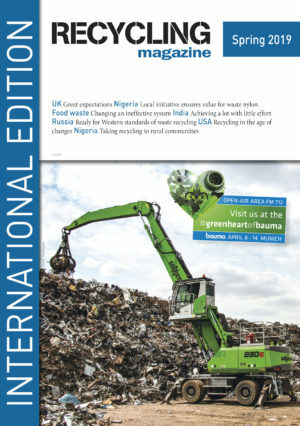 Changes to international scrap flows as a result of the “challenging” protectionist environment and other factors have demonstrated that “the scrap industry adapts and the market finds a level”, reflected Interim Ferrous Division President Tom Bird of the China-based Chiho Environmental Group. In his subsequent review of the EU scrap market, he suggested that the current year should end “on a positive note” whereas 2019 is “very difficult to predict” given the diverse political factors that could influence developments. Assessing the US market, George Adams of SA Recycling spoke of a healthy domestic economy and of a general mill capacity utilisation rate up around 80%, rising to 90% and beyond for heavily scrap-dependent electric arc furnace operations. According to Hisatoshi Kojo of Metz Corporation, steel demand in Japan will remain strong owing to a combination of factors, including typhoon-related reconstruction work and projects relating to the 2020 Olympic Games in Tokyo. Reporting for the Indian Sub-Continent, Zain Nathani of the Nathani Group of Companies said that the 15% year-to-date decline in the value of the rupee has been putting pressure on India’s scrap importers. Bangladesh’s steel industry and its scrap demand have continued to grow but a lack of infrastructure at the country’s ports has remained an issue, he added. At the BIR London Convention’s “Workshop on the Bulgarian Eco-Tax on Second Hand Clothing” on 8 October 2018, the Bulgarian Association of Recyclers and Traders of Second Hand Clothes (ARTSHC) explained the proposed changes to its national laws affecting second hand clothing.